Vacation rental house. 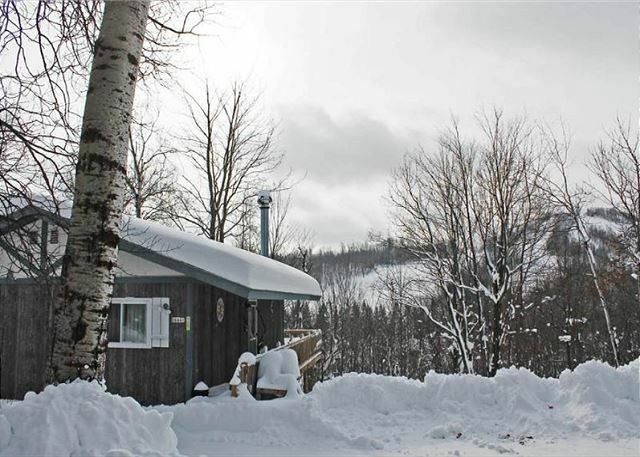 Sleeps 15, 4 bedrooms, 4 bathrooms. No pets allowed. 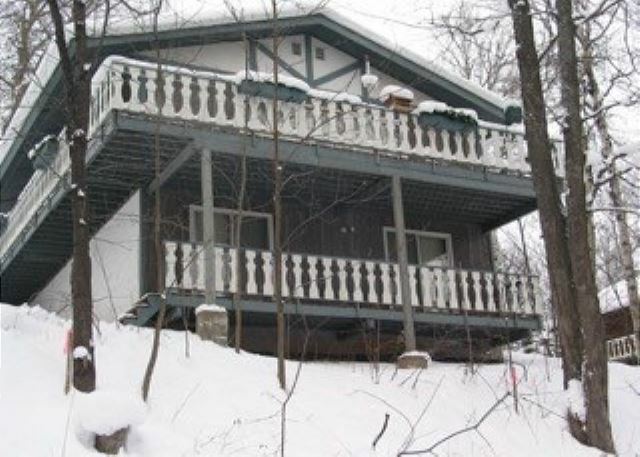 Comfy vacation home in a wooded setting with an amazing view of the ski hill. 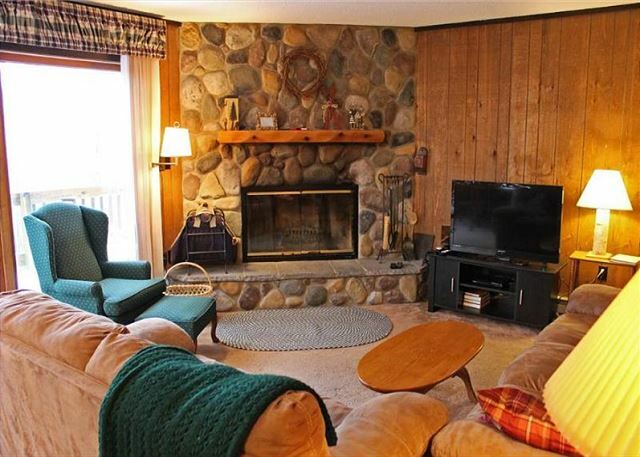 It is perfect for a large family or several smaller families. It offers 3 bedrooms and 2 bathrooms on the lower level and 2 bedrooms and 2 bathrooms as well as the living room, dining area and kitchen on the main level. The dining area offers a large dining table and flows into the living room, which has cozy furniture and a beautiful large field stone wood fireplace. 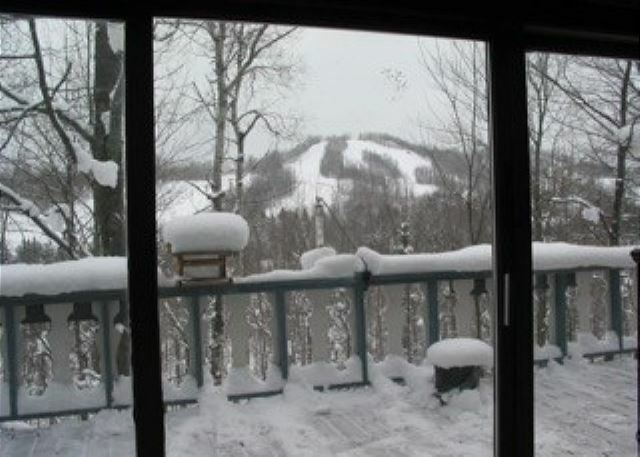 Patio doors lead off the back to a wrap around deck with unique ski furniture and a grill as well as a view of the ski hill. The lower level also has a sauna and WiFi is available throughout the unit. Pets are NOT allowed. A free shuttle is offered during the ski season only. What a wonderful place to stay. Our family, six children and three adults, had plenty of space while we spent the weekend skiing and snowboarding Big Powderhorn Mountain. 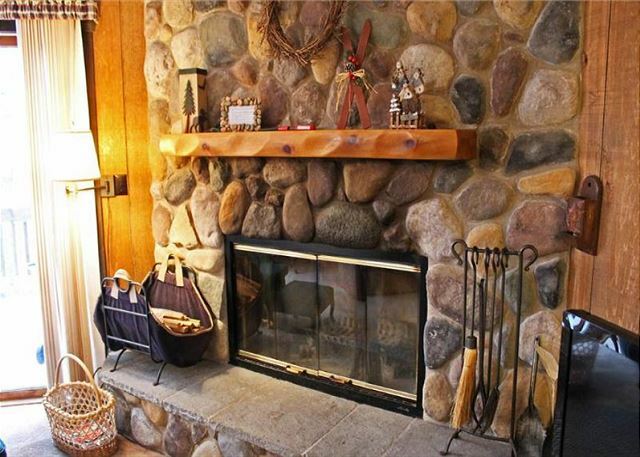 The lodging was very clean, loved the WOOD fireplace and the sauna. The view is breathtaking, especially from the very nice deck/elevated porch. The place we stayed in was very nice and accommodating. The shuttle service to the ski area was excellent. Went up with a group of really chill guys and gals and ski/snowboarded for the weekend. Very nice place with a complementary shuttle to get us to the hill, very spacious even with a large group. We will definitely be back. We had a great time with a big group of friends here for the weekend. There was plenty of space and the views of the hill were great.